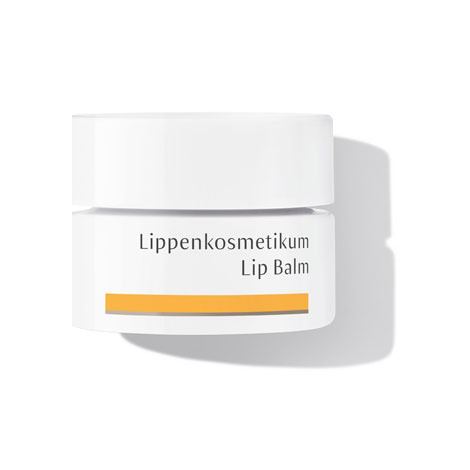 Intensive soothing care for dry, chapped lips, this rich balm promotes skin renewal as it moisturises and softens. Lip Balm provides a translucent shine and helps visibly reduce fine lines around the mouth. Calendula and St. John’s wort extracts encourage repair and renewal. Silk and anthyllis strengthen delicate lip tissue to give the lips a velvety feel and a longlasting warm, floral scent. This intensive care results in beautiful, soft lips. This lip balm is the best I've ever had, doesn't wear off as quickly as other brands. Would recommend to everyone. This is a wonderful balm that really feels like it soaks into my lips, saturating them with moisture rather than sitting on the surface like other balms do. The beautiful rose scent is a bonus. This lip balm sinks in well and is beautifully moisturising. I recommend particularly for the winter months. My favourite balm.